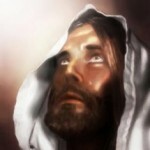 Dr. Rick Flanders Revival Ministries » Why Is Jesus Weeping? The scene is a sad one. 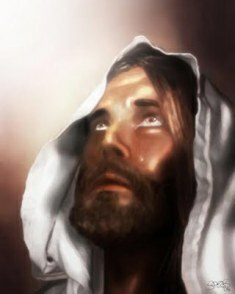 Jesus the Messiah of Israel comes near the city of Jerusalem, and weeps over it. Jerusalem, the holy city, was built on Abraham’s Mt. Moriah and David’s Mt. Zion. Its foundations rested upon the Salem of Melchizedek and the Jebus of the Jebusites. It was made the capital of God’s nation during the reign of King David, and served as such until it was destroyed by the Babylonians. Jerusalem was rebuilt by a remnant of the Jews under Zerubbabel, Ezra, and Nehemiah. It had heard the voice and seen the face of the Son of God. One day in the future, the prophets tell us, it will be the capital city of the world and the center of God’s Kingdom on earth! But as the awful day it crucified its Savior approached, Jesus wept over the city. Then, Matthew 23 records a sermon He preached in Jerusalem just a few days before He was crucified, and at the conclusion, in verses 37 through 39, we read words almost identical to those of His Luke 13 lament. He was weeping over the tragedy of a lost opportunity. Jerusalem and the Israelites assembled in it for the Passover missed the opportunity to be saved from both earthly and eternal destruction. They were visited by their Savior, but they did not know it. Instead of receiving Him, they killed Him. Some people must wonder why the Son of God would be seen weeping that day. A slant on the doctrine of election that is gaining more acceptance in our day says that the salvation and damnation of individuals is based ultimately upon an arbitrary choice made by the Lord. Some are chosen for reprobation and damnation, while others are elected for repentance and salvation. The perfect will of God is always accomplished, some declare. People receive and reject Christ because God foreordained that they would. But if that were so, why was Jesus weeping? He was weeping because He is not willing that any should perish. That’s what the scripture clearly says. Yes, the saved are the elect of God, but election is based upon God’s foreknowledge. What and whom God knows determines whom He chooses! The Bible says that we are . . .
Election is defined in Romans 8 as God’s sovereignty acting in accordance with His omniscience and omnipotence. Study verses 29 through 34. “For whom he did foreknow, he also did predestinate to be conformed to the image of his Son, that he might be the firstborn among many brethren. Moreover whom he did predestinate, them he also called: and whom he called, them he also justified: and whom he justified, them he also glorified. What shall we then say to these things? If God be for us, who can be against us? He that spared not his own Son, but delivered him up for us all, how shall he not with him also freely give us all things? Who shall lay any thing to the charge of God’s elect? It is God that justifieth. Who is he that condemneth? It is Christ that died, yea rather, that is risen again, who is even at the right hand of God, who also maketh intercession for us”. The Lord predestined those He foreknew to be some day like His Son. This process is called election. It is a mystery to us because we cannot understand what it is to be the all-knowing, all-powerful Ruler of the Universe. But we do know that the election of His own does not negate the part human choice plays in determining a soul’s destiny. If Jesus was about to do exactly what He wanted to do, why would He weep? If He had chosen to destroy Jerusalem, why would He weep over it? What tragedy would there be in a sinner’s rejection of God’s mercy if he could do nothing else? Jesus “would,” but they “would not.” The tragedy over which Jesus is weeping is the tragedy of lost opportunity. The people of the holy city missed the opportunity to be saved because of foolish and wicked decisions they made! Their Savior came to their city, but they would not have Him! A willing heart makes the difference between “peace” (Luke 19:42) and destruction (Luke 19:43-44). It was true for Jerusalem, and it is true for the individual soul. If you will decide to turn from sin and self-righteousness in order to trust in Jesus Christ for your salvation, the Bible says that you will be saved! Of the first-century Israelites, Paul said that . . .
A decision of the heart will secure one’s own salvation, and also a decision in the Christian heart will lead to the salvation of others! If Christians surrender to do their Father’s will, a harvest of lost souls can be won to Christ who would not otherwise have been saved. Hear what Jesus said to His disciples after personally leading a sinner to salvation. The willingness of Christians to evangelize and of sinners to repent does make the difference in the matter of who will spend eternity with God and who will suffer forever without Him. The unwillingness of men creates the tragedy of lost opportunity over which Jesus is weeping in the Book of Luke.